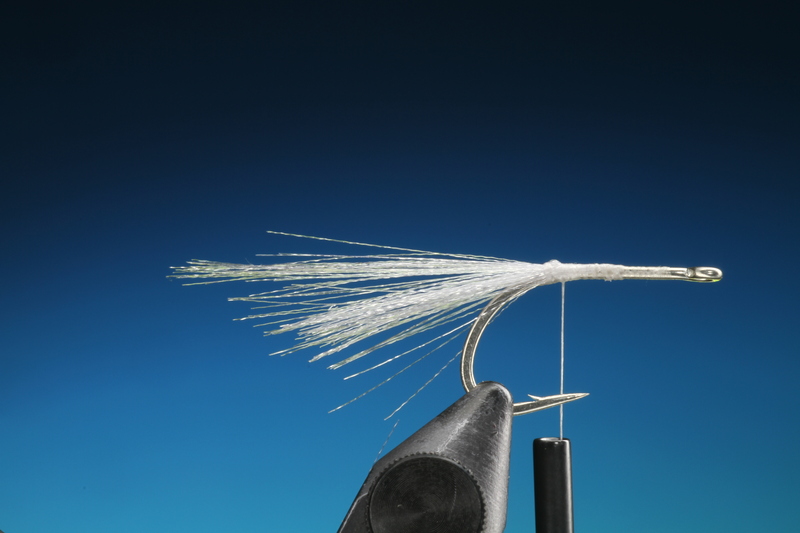 Sorry for taking so long for my next installment for the tying course but I am very busy right now photographing sea trout fishing as the season is underway. This is a simple but extremely realistic salt water shrimp pattern I designed for salt water sea trout fishing in Northern Europe. Feelers/Body: Organdie decretive ribbon If you’re looking for pre-dyed “organdie” it’s available in the UK from http://www.ribbonoasis.co.uk in a good range of colours and widths, just go to the site and search for “organza”, different name same product. From late autumn until early spring the majority of bait fish around the coastline of Northern Europe leave the shallows and head out for deeper water where they will be protected from the bitter cold of winter. Many of the species of shrimp that can be found on the other hand move into deeper tidal pools and onto shelves were the coastline is steeper and falls abruptly away into deeper water. Therefor shrimps are on the coastal sea trout’s menu the whole year round, and can be found in great numbers. 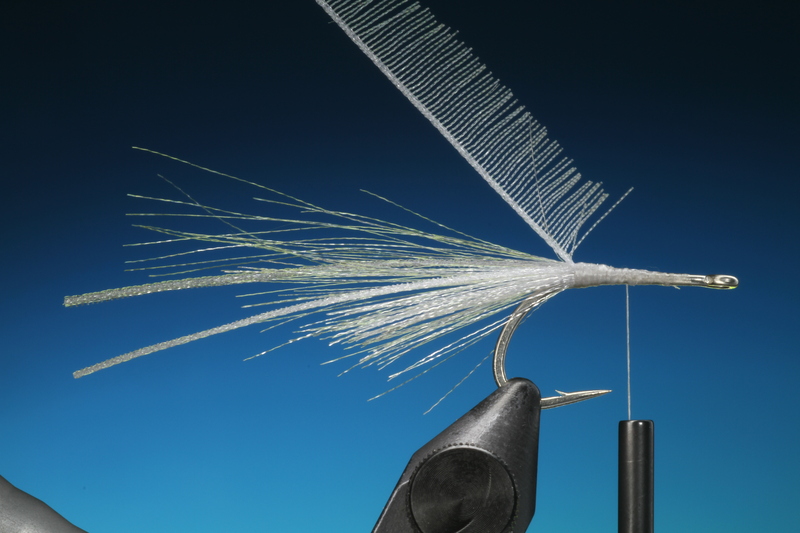 These are particularly important to fly fishermen because they mature in the shallows where we do most of our fishing, and all sea trout fishermen should have at least a couple of good shrimp patterns in there fly box at all times. 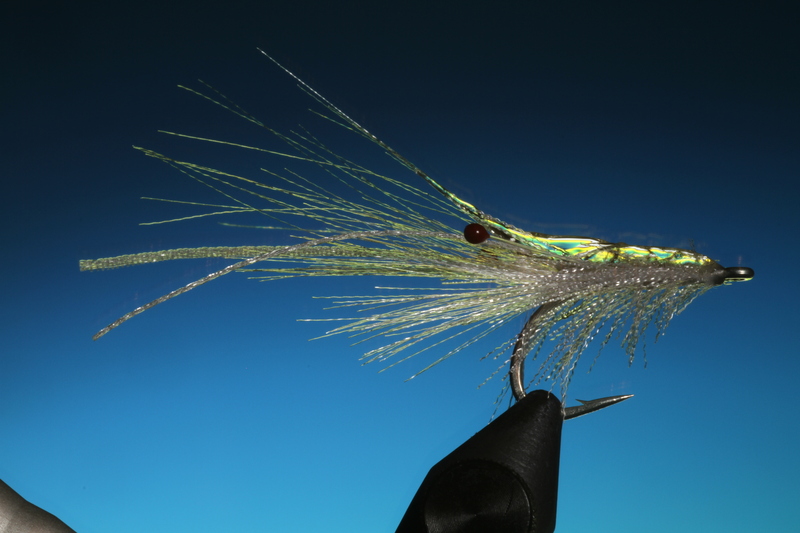 You may think that a perfect small translucent shrimp pattern fished blind, may not be the easiest prey for a sea trout to notice in a large body of water! and if you fish something that “ stands out in a crowd ” a little colour and movement, it may increase the chances of it being noticed and picked-up. The most rewarding colours for shrimp patterns, in my experience are red, pink, orange and olive. 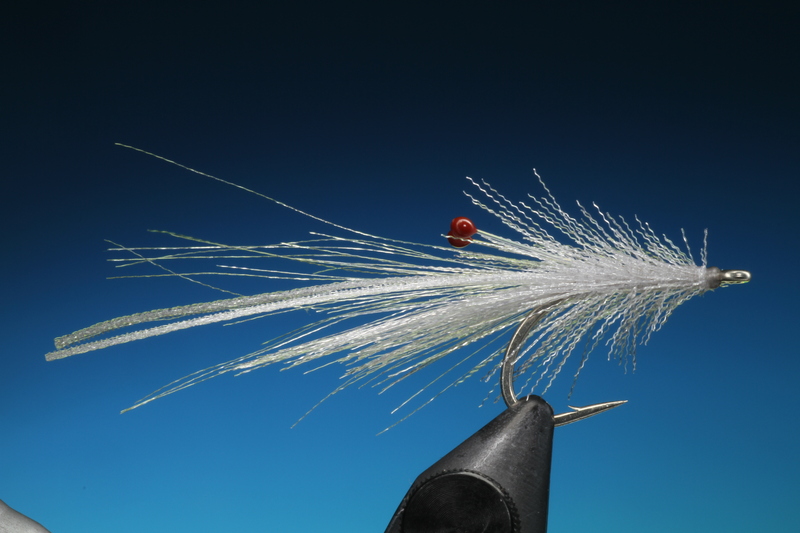 Occasionally, it can be worthwhile, tying some very small shrimp flies in sizes 12-14-16 and in more neutral mundane colours, such as grey and white. Shrimps of all shapes and varying sizes are without doubt the most important all year round food sources for salt water sea trout. Unlike other seasonal foods like rag worms, sand eels and small bait fish, that the sea trout feed on throughout their first years in salt water. Natural selection takes a favorable view of effective and adaptable feeding, a proficient predatory fish when feeding will maximize energy intake and minimize energy consumption. Predators quickly learn to avoid areas where there is little or no food. These rules also apply to the fish familiarizing themselves with the best feeding locations and habits that coincide to the different seasons. 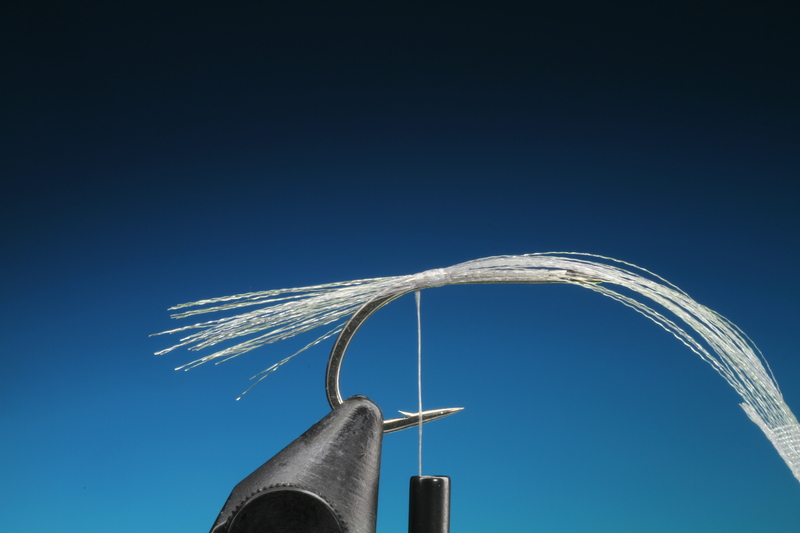 So its paramount that the effective fly fisherman is aware of this and adapts his techniques, flies and strategy to that of the sea trouts feeding habits. This is especially important during the winter months when food is few and far between. Look for the signs, deeper bays with vegetation and structure, or the classic leopard bottom, with dark spotted patches of vegetation on a lighter backdrop of sand, where prey can have accessibility to sufficient food and cover from predators. The natural collection points of wind lanes of all shapes and sizes are also worth working. These collect plankton and other small forage that attract shrimps and bait fish. If there is ice on the surface, which is quite a common occurrence in the winter months, on Scandinavian coastal waters, pockets of open water generally indicate warmer water or flow. Both these elements will attract prey and predators alike. Most species of shrimp have three very different ways of locomotion. When foraging for food or resting on the bottom they use their front walking legs for moving short distances on vegetation and other structure. When migrating or moving over larger distances they use their swimming legs. 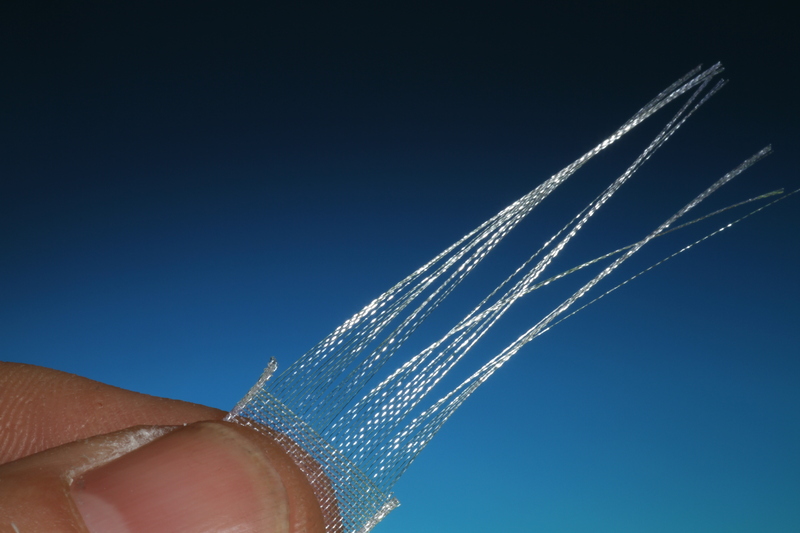 These are located under the abdomen and undulate when swimming, and can be used to propel the crustacean in all directions slowly. But when alarmed or fleeing from a predator they use a contraction of their strong abdomen muscle which results in a powerful rapid snap of the tail plates propelling the shrimp quickly backwards away from danger. Organdie ribbon can be bought at most craft or sewing stores. Whilst tying flies at one of the large European fairs, I saw a similar material as Organdie being used for nymph gills, When I returned home it wasent difficult to find at my local sewing shop just for a couple of pounds, and as far as I can see its exactly the same material as the one marketed by a large fly tying supplier but for just a third of the price. I have also experimented with colouring the ribbon with waterproof markers but the colour washes out for some reason in salt water, but dying may be an option, that I have yet to try. 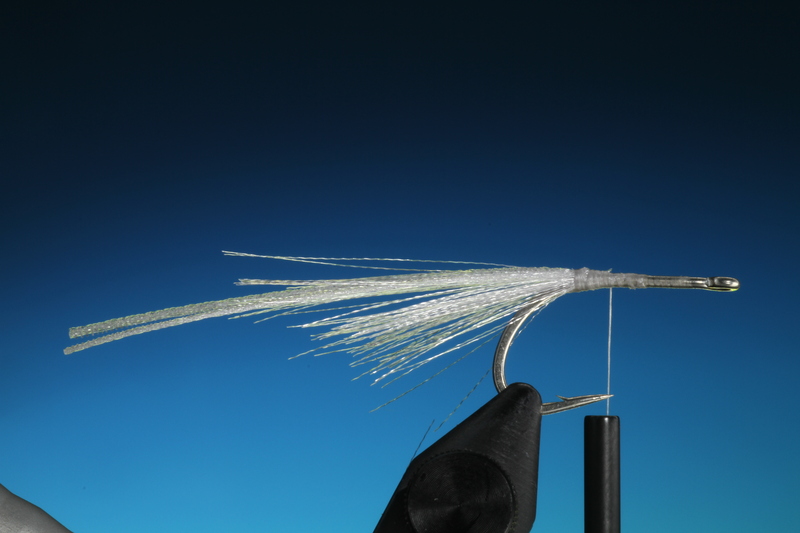 This is an extremely quick and easy pattern, that only takes a few minutes to tie if you use Bug Bond as the shell back, if you use epoxy it does take a little longer in curing time. 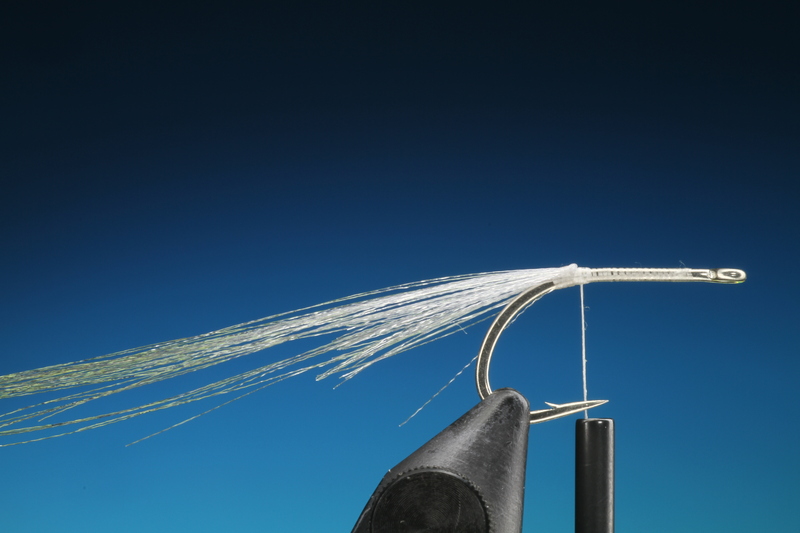 Secure your shrimp hook in the vise with the shank horizontal. Cut a length of Organdie ribbon approximately 15 cm long, depending on the size of hook you are tying on. With a pair of long sharp scissors make a cut along the edging of the ribbon as shown. Now repeat this on the other edge of the ribbon. 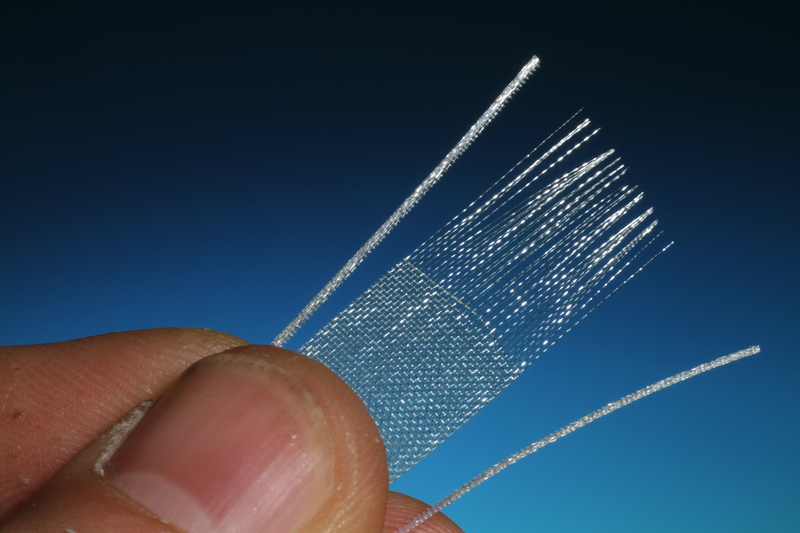 You will now be able to pull out the short woven lengths of Organza. Pull out enough to make a bunch of strands long enough for the shrimps beard. 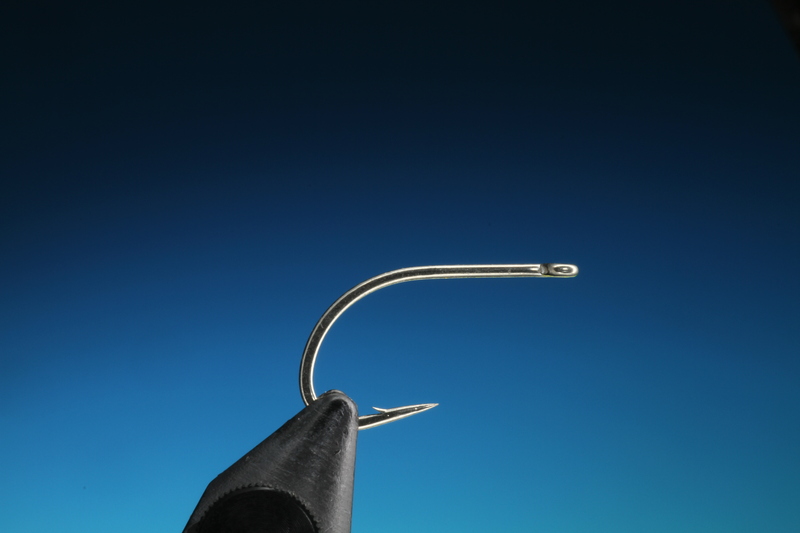 Attach your tying thread to the hook shank and run back so that it hangs between the hook point and barb. Tie in approximately one third of the length of fibers that you prepared for the beard. Trim off and tie in the full length of the remaining fibers on top of the shorter. Trim these off to form a tapered beard. 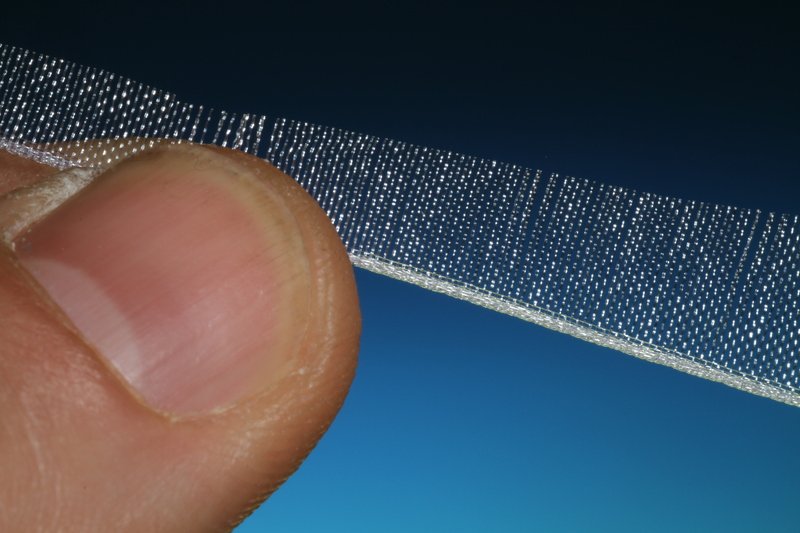 Now use the two edge strips that you cut from the ribbon and tie these in for the feelers, one each side of the beard. Take the length of ribbon and with long straight scissors divide the ribbon diagonally from one corner to the other. Then you should have two strips of ribbon from the one cut for two flies. 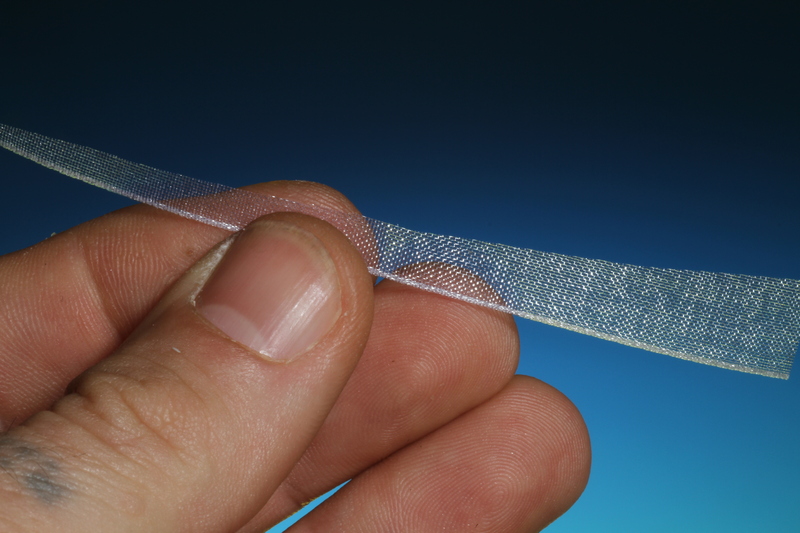 Pull out all the fibers that run the length of the ribbon. Tie in the ribbon hackle at the widest end just behind the beard. This will create a tapered body, large at the front and smaller at the tail. Position and secure both your shrimp eyes, these should be quite long. After tying down secure with a little super glue or varnish. 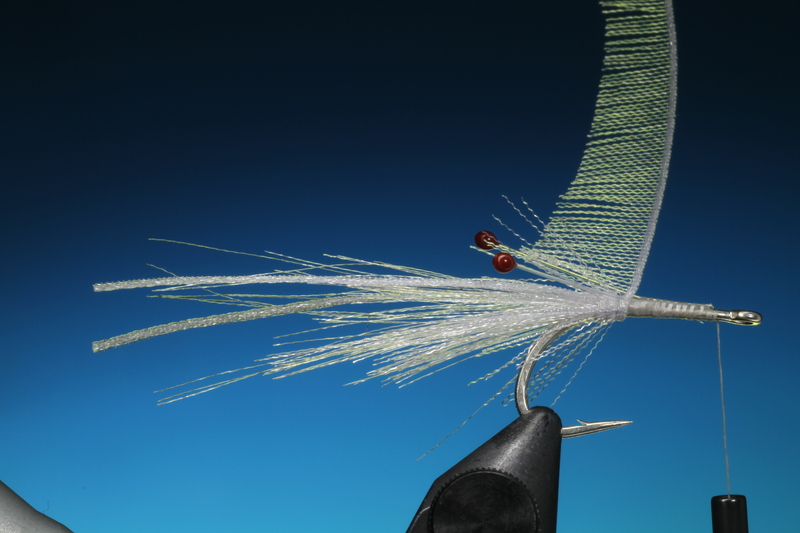 Now you can wind on your ribbon hackle forward to the hook eye forming a christmas tree like effect on the shrimps body. 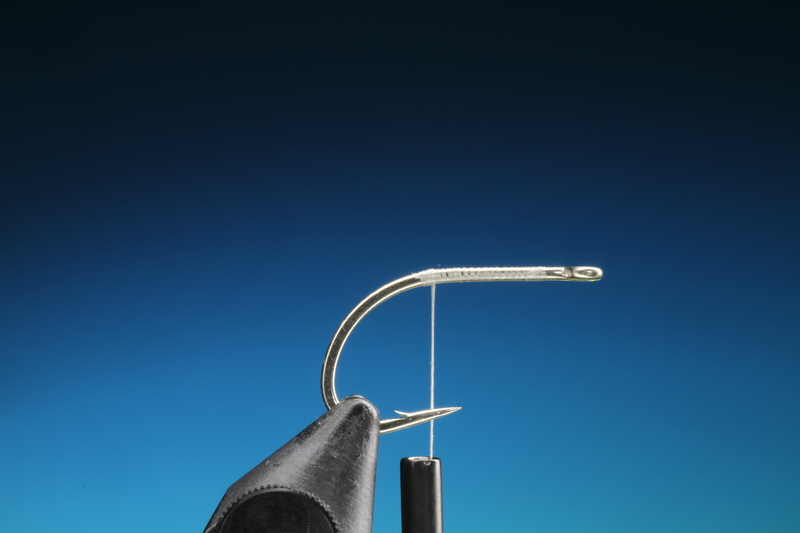 Tie off and whip finish just behind the hook eye. 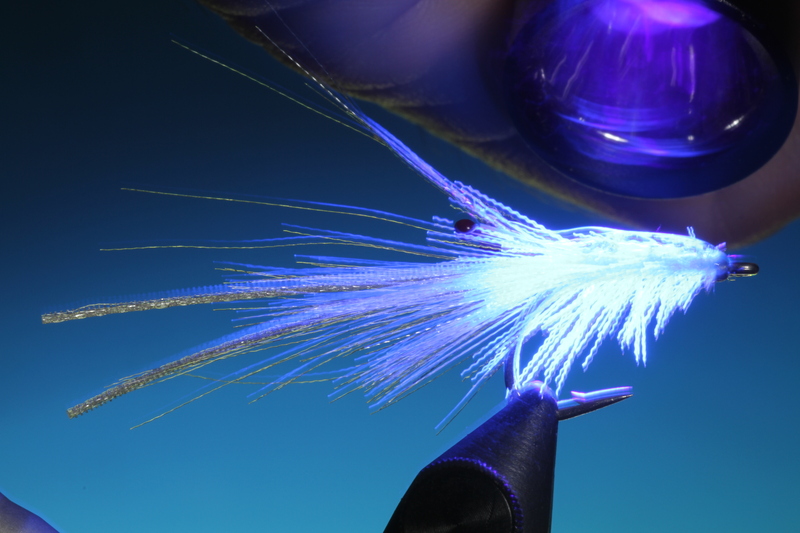 Coat the back of the shrimp with Bug Bond and cure with the UV light. You may have to make two or three coats to build up the shell back. The very easy but life like result ready for the salt. This entry was posted on April 16, 2013 by barryoc. It was filed under Fly Tying, Sjøørret fluer, Step by Step and was tagged with reke, sjøørret fluer. Superb pattern Barry! Love it and the last picture of it, too! Thx for this nice sbs! Thanks Holger, hope all is well with you! Barry, this was very easily tied pattern…and an ingenious use of materials…the last picture of the final fly seemed to have a greenish colour added to the Bug bond area… was this intentionally done if so how did you apply the colour? Hi David, Thanks. No I believe it’s just the light reflecting through the BB. But you can colour them with water proof felt markers if wished. Hi Barry, very cool pattern. 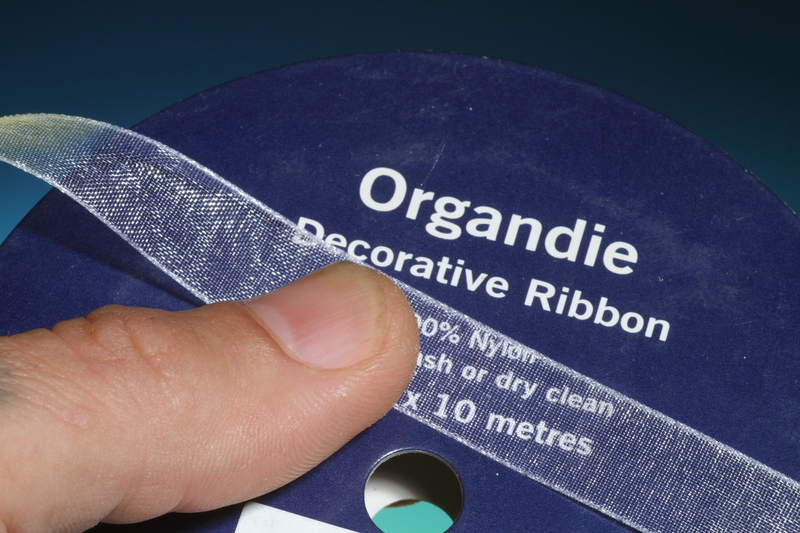 If you’re looking for pre-dyed “organdie” it’s available in the UK from http://www.ribbonoasis.co.uk in a good range of colours and widths, just go to the site and search for “organza”, different name same product. I use it a lot on caddis pupa and streamers so it’s mostly the greens, silvers and golds I buy but the colour range is extensive. Norway may well have an alternative, closer to home, version of the site but if not the UK one is an option for you. Loving the site, keep up the great work. Hi Jim, Thanks for the kind words and info! I will post the web address on the site. 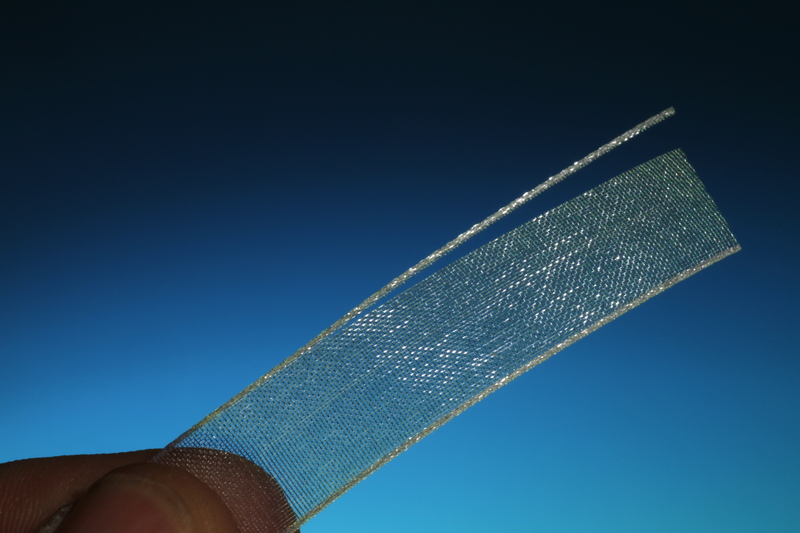 Thanks, The ribbon I have used here is about 1.5 – 2 cm wide see the photo of the spool. I just took a look at the link I posted in the recipe and the have a great deal going on! 10 different colours of ribbon just for a couple of dollars! take a look, I think it was called mixed pack.